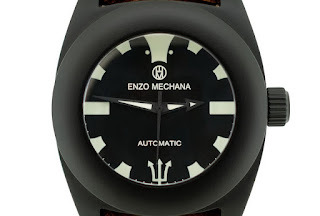 Enzo Mechana has released a small Limited Edition series of 5 pieces of the Mare Nero for WatchObsession. 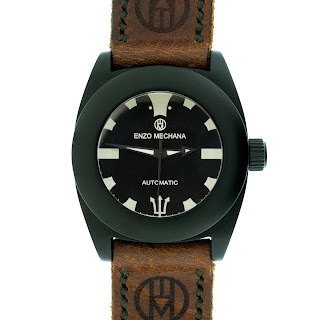 The Mare Nero’s 42mm in diameter by 20mm thick Stainless steel case has been handmade and hand finished with a black Cera coating. 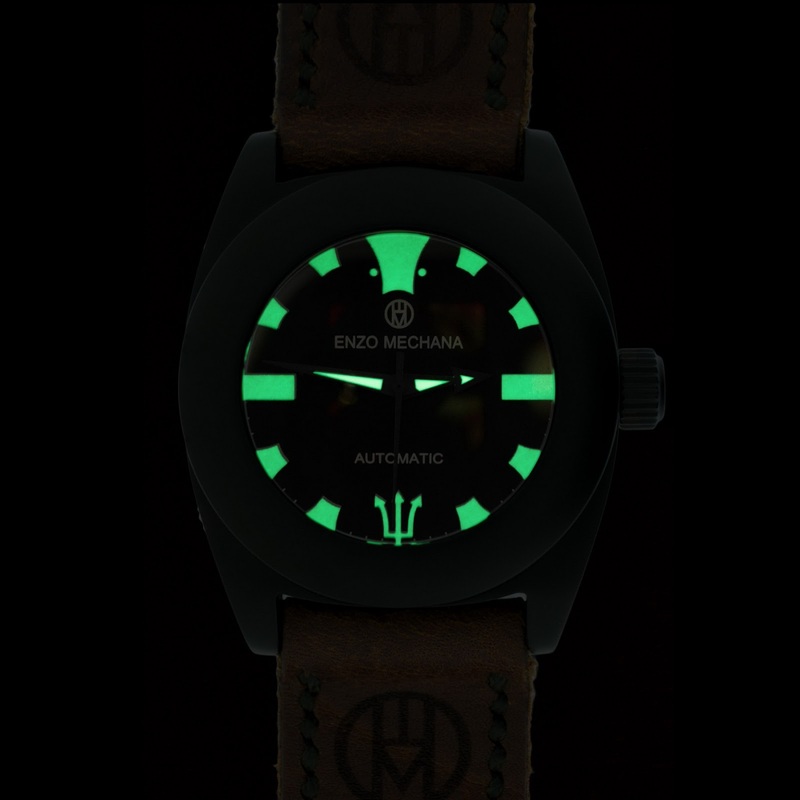 Powering this very special diver is a fully decorated - version Luxe ETA 2892, while the its dial is with C3 luminous; trident logo, hands and markers. 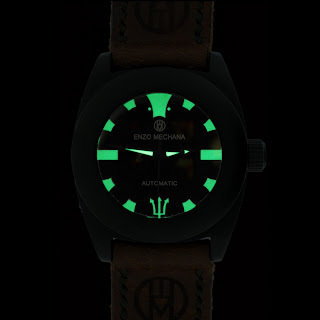 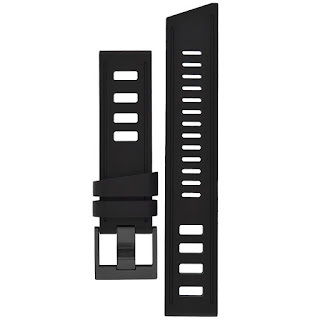 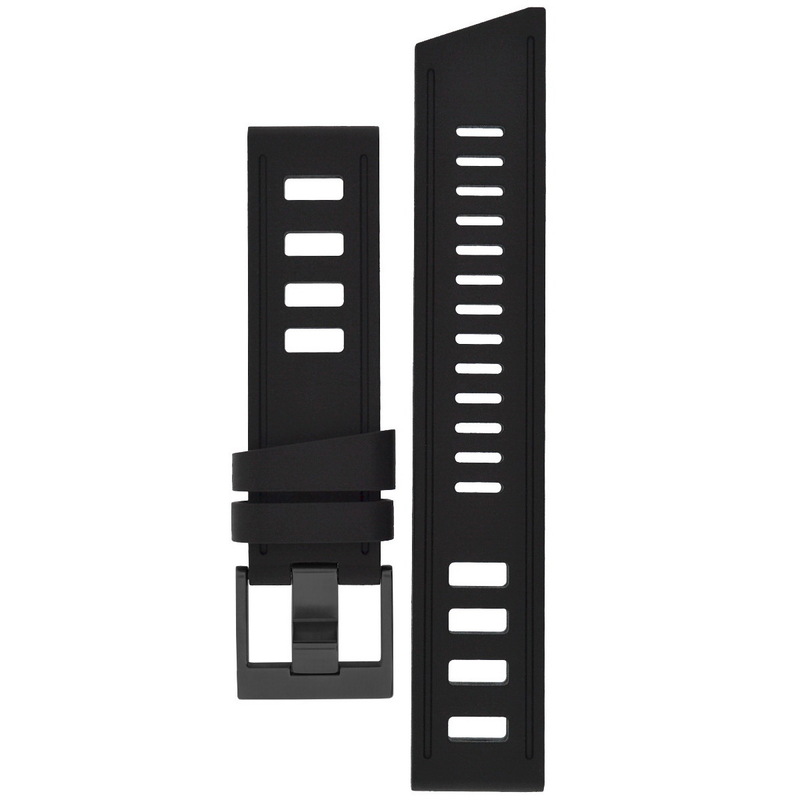 Divers features include: a handmade fixed bezel with a black Cera coating, a screw-down caseback and crown and a water-resistance of 200 meters. 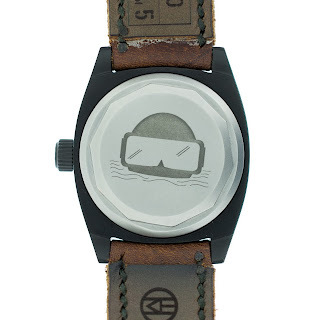 The caseback has a charming depiction of a diver popping his head up out of the water etched on to it. 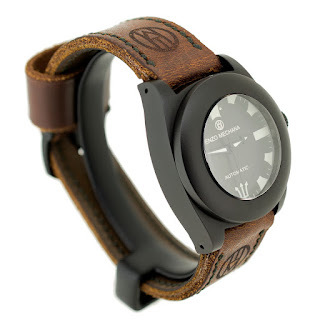 The Mare Nero comes on a handmade, DIABOLIQ Vintage Military strap, made from 1960s vintage leather. 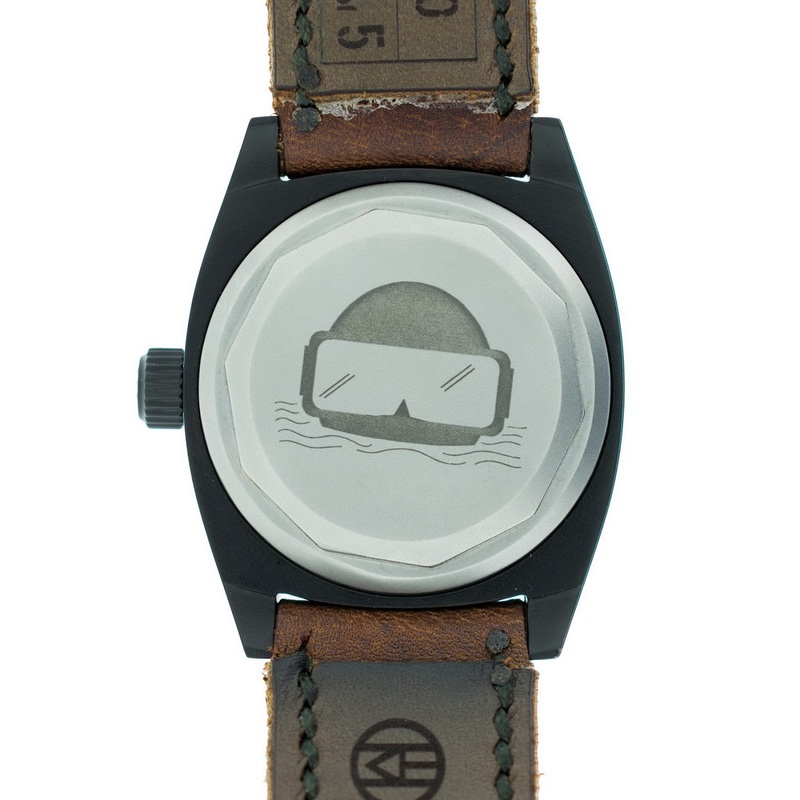 Each strap has been individually laser etched, hand distressed, waxed and oiled for added flexibility and water repellency. In addition to this, the Mare Nero is also supplied with a black rubber divers strap by ISOfrane. 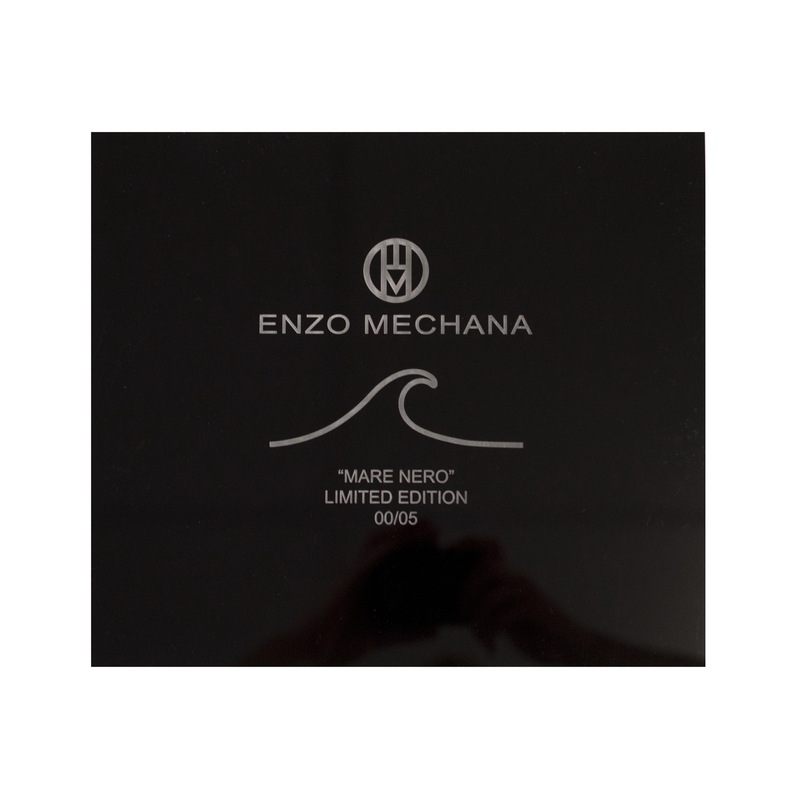 Some very special packaging has been put together for the Mare Nero. 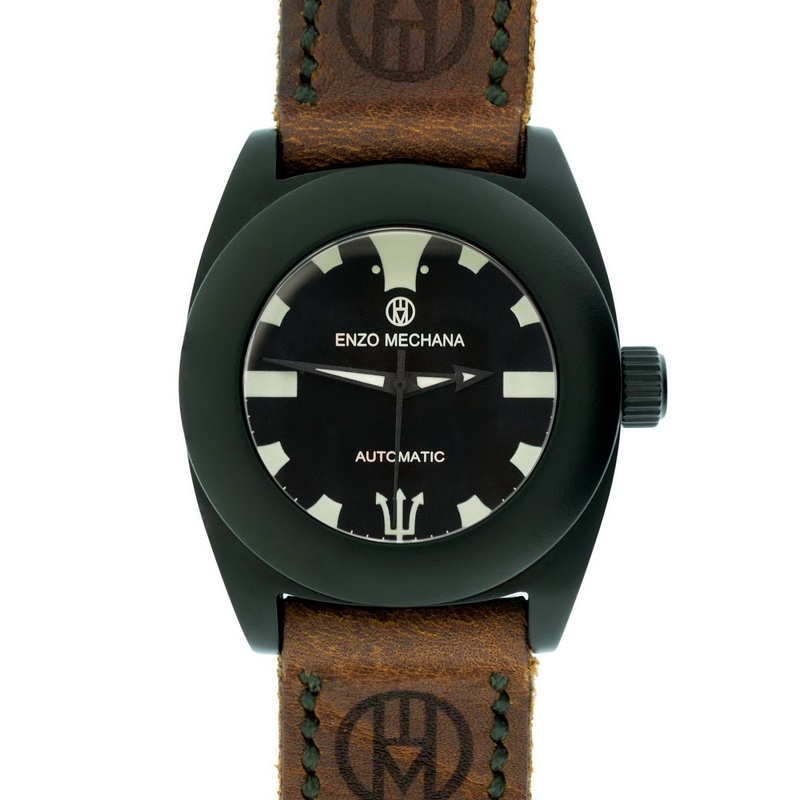 Firstly, a handmade black Perspex outer-box from Artisans.co.uk - etched with the Enzo Mare Nero logo. 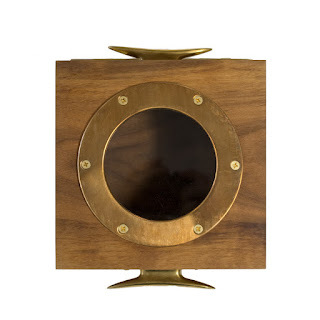 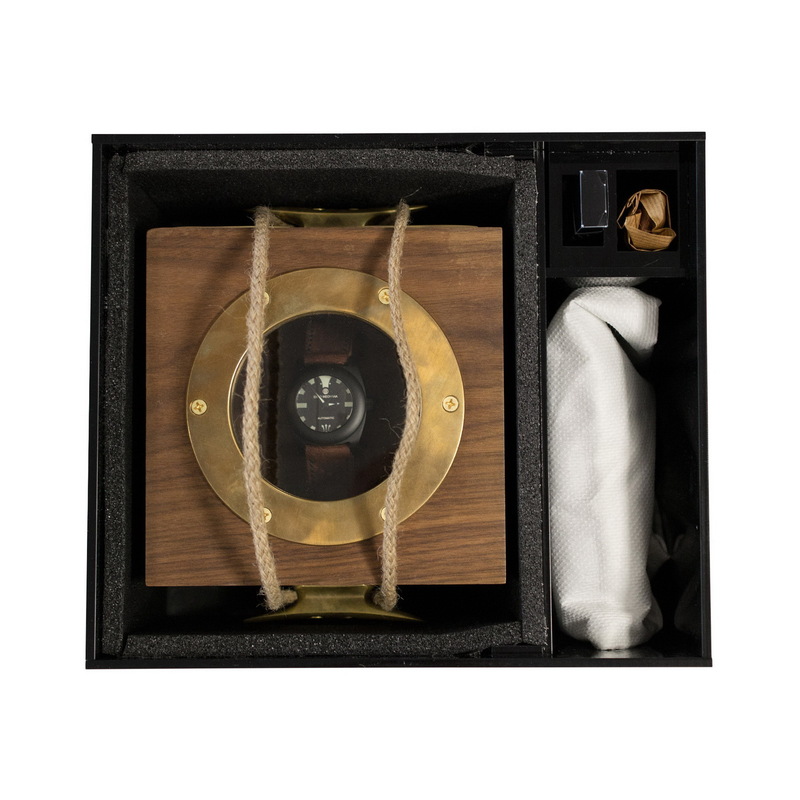 Then a solid a Mare Nero Nautical wooden watch box with individual LE number plaque - handmade by TimeMachinist. 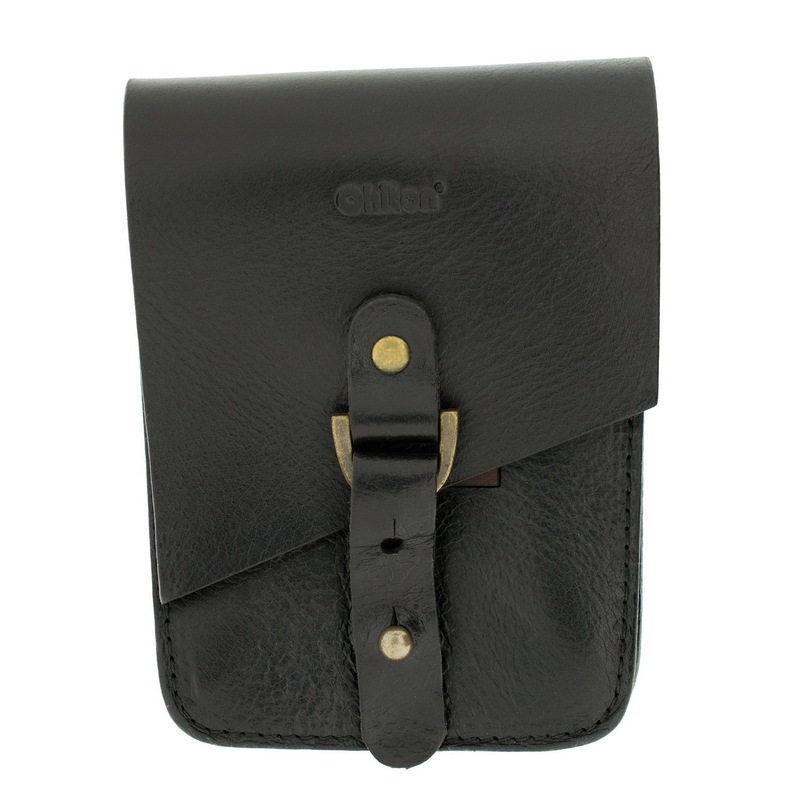 Finally a handmade leather Chiton Pouch is also supplied with also with a Limited Edition numbered patch. 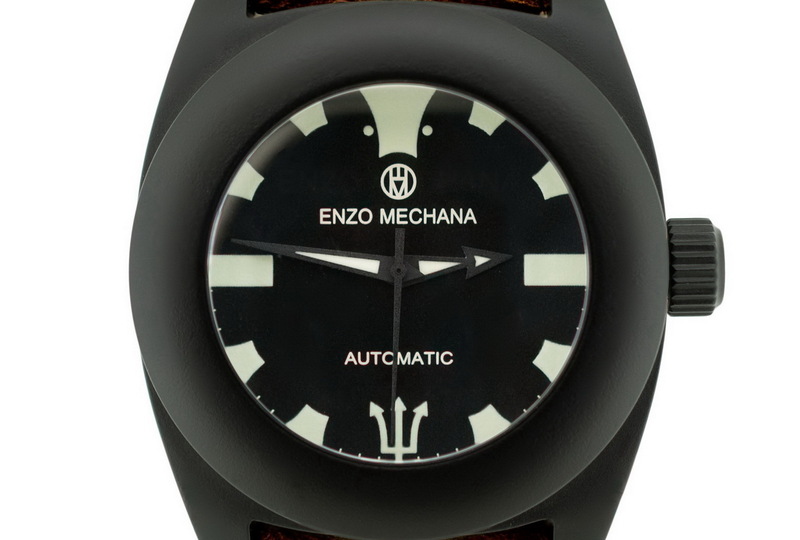 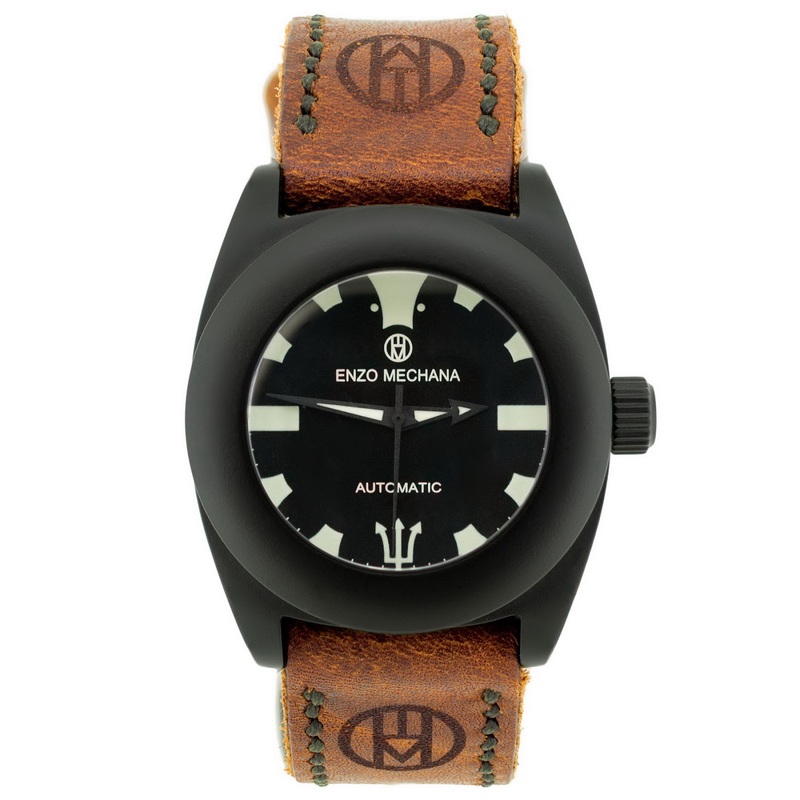 This is the first release from Enzo Mechana in partnership with WatchObsession, who will be bringing other Limited Edition pieces as well as full production models on a regular basis. 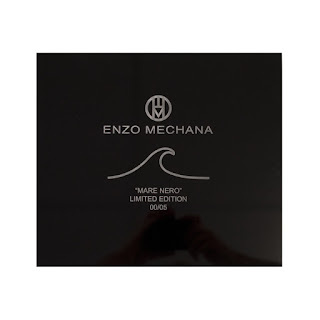 The Enzo Mechana Mare Nero is available HERE, exclusively from WacthObesession priced, 3450GBP.